The Eurasian Tree Sparrow is a bird that belongs to the sparrow family. It is also known as the Tree Sparrow in South-east Asia and Eurasia, but it is known as the German Sparrow or the Eurasian Tree Sparrow in the USA. There are a few subspecies that have been recognised, but the appearance of this bird actually does not really vary across its large range. The Eurasian Tree Sparrow is about 13 cm long, and has a wingspan of 21 cm. Its weight is 24 g, which makes it 10% smaller than the House Sparrow. It has a nape and crown which is rich chestnut in adults, and has a black patch on each white cheek. It also has a black chin and throat. 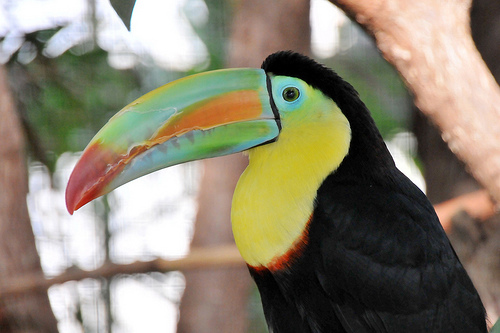 Its upperparts are a light brown but are streaked with black, and its brown wings have 2 narrow white bars. Its legs are pale brown in colour, and its bill is blue in the summer but turns almost black in the winter. 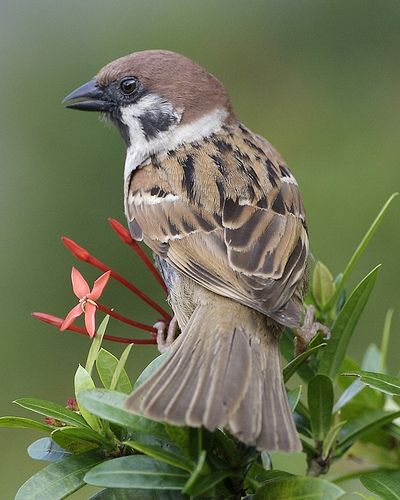 Juveniles will look like the adult Eurasian Tree Sparrow but its colours are duller. 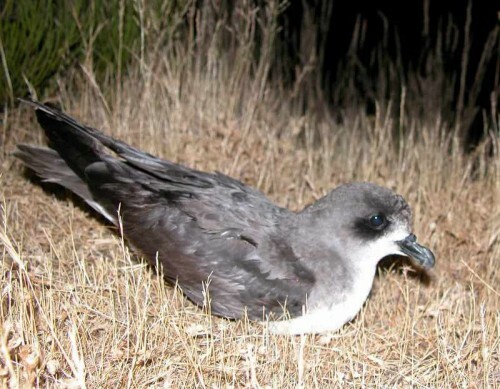 This bird does not have a ‘true song’ but it does have several different vocalisations, such ‘tschip’ that are given by courting males or unpaired males. When they are in flight or having social contact, they use monosyllabic chirps. 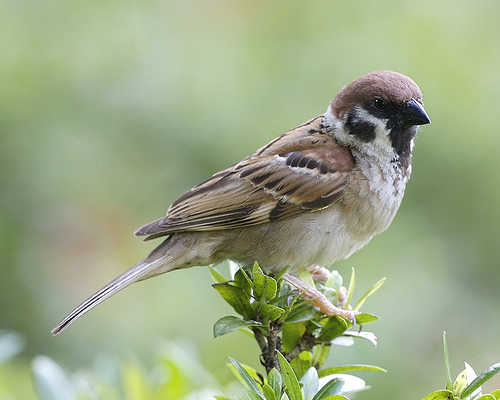 The natural breeding range of the Eurasian Tree Sparrow is in temperate Asia and Europe, with a latitude as far south as 68°N . It can also be found in Bali and Java Island in Indonesia. It used to breed in the Faroe Islands, Malta, and Gozo. Northernmost Eurasian Tree Sparrows will actually migrate south for the winter. Although the Eurasian Tree Sparrow has been introduced outside of its native range, it has not always become established because it competes with the House Sparrow. It has been successfully introduced into Sardinia, the Philippines, Indonesia, and Micronesia. Introductions into Bermuda and New Zealand failed. It is also a vagrant in Dubai, Israel, Egypt, Algeria, Tunisia, and Gibraltar. The Eurasian Tree Sparrow usually eats seeds and grains. However, it will also eat weeds like goosefoot, chickweeds, spilled grain, and will visit feeding species to eat peanuts. It also eats fresh invertebrates like spiders, centipedes, woodlice, and millipedes. In some areas, the Eurasian Tree Sparrow is a pest. For example, in Australia, it will damage many fruit and cereal crops, and spoil stored grain, animal feed, and cereal crops with its droppings. It is against the law to transport the Eurasian Tree Sparrow into Western Australia, according to its Quarantine rules. This bird has been depicted in both Chinese and Japanese artworks. It is also represented on postage stamps of the Central African Republic, Antigua and Barbuda, Gambia, China, Belgium, Belarus, Estonia, Cambodia, and Taiwan.